If you happen to be walking around the Scottish Lochs in August, make sure to visit the capital of Scotland. Edinburgh is without any doubt the place to be at this time of the year. The Edinburgh Festival Fringe, the biggest arts festival in the world, takes place inside its walls. 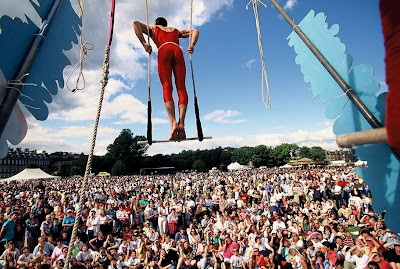 Every August during three weeks the city welcomes several arts and cultural festivals, known as the Edinburgh Festival. The Fringe is by far the largest of them. Having a wide variety of events, there is something in it for everybody: theatre, comedy, music, dance, musicals, operas, children's shows and even exhibitions. The Fringe is an open-access festival, which means that anyone who wants to perform is welcome. The first edition of the Edinburgh Festival Fringe took place in 1947. It came to life when eight theatre companies were uninvited to the Edinburgh International Festival. One of them performed the medieval morality play “Everyman” not in Edinburgh itself but 20 miles north, in Dunfermline, whereas the other seven played in Edinburgh. The festival was named after what a journalist said the year after (‘Round the fringe of official Festival drama, there seems to be more private enterprise than before… I am afraid some of us are not going to be at home during the evenings!’). At the beginning there was no organisation around the Festival Fringe until students of the University of Edinburgh decided to take the situation in hands. Beds and cheap food were for example proposed to the participating groups. A few years later a booking service took place. In 1959, the “Festival Fringe Society” was created and a real organisation was set on foot. The first guide to Fringe shows appeared and it was decided than no show was to be censored. That year, 19 companies went on stage. At the beginning of the seventies, the Fringe became too important to be organised only by volunteers and therefore John Milligan was employed as its first administrator. In the years eighties, almost 500 companies took part in the Fringe, making it the largest arts festival in the world. In 2000, it became the first festival to sell its tickets online in real time. Seven years later, more than one and a half million (1,697,293 precisely) tickets were sold for Fringe performances, which clearly achieved its position in the world. 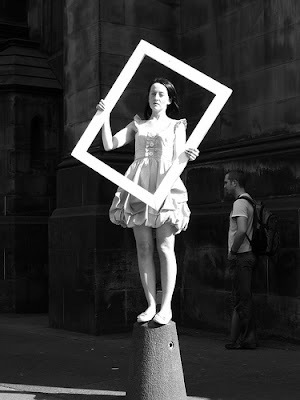 The 2009 Edinburgh Festival Fringe was a record-breaking edition. Let’s have a look at the figures on the official website: in three weeks time 18,901 performers took to the stage to give 34,265 performances in 256 different venues. 1,859,235 tickets were sold and 465 shows were for free. What about 2010? We already know that the 64th edition of the Fringe will take place between the 6th and 30th August. Are you feeling like performing at this event? What are you waiting for? Book your tickets and live the greatest adventure of your life!